Ample space in an exam room encourages staff and clients to listen and observe. Headlines like that are all over social media and in the news. Every day, it seems, another business model is being threatened by millennials’ way of doing things. The fact is, young people act, buy and are focused differently compared with older generations. it’s true their generation has a worse debt-to-savings ratio, they are not afraid to spend more on things they perceive as having value. They are, for the most part, better educated (often to their financial detriment), so they are aware of the tradeoffs. It’s been said millennials were born to shop, and the digital world simplifies their spending. But as a group, they are more likely to buy experiences rather than things. Travel, dining, girls’ and guys’ nights out, myriad social activities, and convenience buying get a higher cut of the budget than ever before. Here’s the thing: Millennials have more pets per capita than any other demographic, yet they are among the worst users of veterinary services. Eighty million strong coming into their prime spending years and they are not showing up. Yikes. Why is this? Clinic visits are not often a favorable experience. The visits were not personal in the sense that they were not tailored to the client. Personal interaction at each touch point was not necessarily client-centric. The visit was difficult to navigate. Questions and uncertainty are seen as strong negatives. The visit was not convenient. A lack of transparency was apparent — records, prescriptions, prices and schedules were difficult to access. Buying pet products at the clinic was seen as another chore. Who can compete with Chewy? Anxiety-free animal-handling features and procedures were lacking. The visit was expensive. The value proposition was not clearly evident. While we can lament the perceived self-centeredness of millennials, the fact remains they are the new consumers and they want what they want. One by one, industries are pivoting to address them. 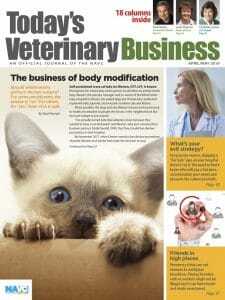 Not yet mainstream, new-era veterinary practice tools are beginning to appear. Mobile apps like PetDesk, BabelBark and other portals attempt to make pet care more open, transparent and convenient. Customer focus is key. Seating alcoves in the waiting area facilitate relaxed client conversations. If you plan to build or renovate a clinic, you might want to think about how the hospital could enhance the millennial experience. I tell my clients that architecture will not create a great practice. The building is only a tool. What matters is how you use it. Our job as designers is to create a place that can facilitate your vision, make things easier for you and allow your staff to be more efficient. The image the building portrays to the public should be a reflection of your hospital’s culture. Openness and convenience begin even before a client walks in the door. How easy do you make it for arriving clients? As they drive in, is the proper entrance evident? I advocate dedicated drop-off spaces, covered if possible, especially for emergency and referral cases. Picture this: A frantic dog owner pulls up at the emergency entrance, which is covered, and is greeted by a staff member who has a gurney waiting. Talking with and reassuring the client the whole time, veterinary team members wheel the animal to triage as the owner is guided through the check-in process. That’s client-centric. The value proposition is already being built. What was needed to make it happen? A canopy at drop-off, a vestibule large enough to hold a gurney, and a reception-greeter station close by. All those features can be easily integrated into a new building. The architectural modifications are not that big, but the result is a large customer-focused impact. Architects like me have long advocated doing away with the Great Wall of Reception. Instead, have a staff member meet and welcome an arriving client, be a guide, offer reassurance and build confidence. The value becomes self-evident. My partner reminded me of a conversation he had decades ago with a then very forward-thinking veterinarian whose method for the initial exam and workups was to verbalize everything he was doing. For the most part, a client does not understand an exam’s complexities. When the veterinarian ran his hands over the pet and explained what he was checking, what felt right and what needed a closer look, the interaction with the client was educational and a demonstration of expertise, something Dr. Google cannot do. Again, the value proposition builds, but only if the exam room’s layout provides the space needed for a client to listen and observe. Educating clients about the need for and value of wellness and preventive care can take other forms, not all of which have to happen in the clinic. Virtually everyone I know watches YouTube videos to learn how to do just about everything, from decorating a cake to repairing a car. Many forward-thinking veterinary practices post educational videos to help clients make the best care decisions for their furry family members. Digital client connections are happening today with video consultations. It’s common in human medicine and is growing in animal care. Having a hospital media room, one with good lighting, acoustic panels and a logo backdrop, can make these kinds of extended client connections much easier. Architecturally, a small enclosed office can serve the function if positioned correctly. Another attribute of the millennial generation is the sense of social responsibility. They are looking at how a business is connected to the community and its environmental consciousness both globally and within the business. How patients are handled, how much effort is put into reducing stress and anxiety, and how the hospital makes the entire experience a positive one are extremely important to millennials. 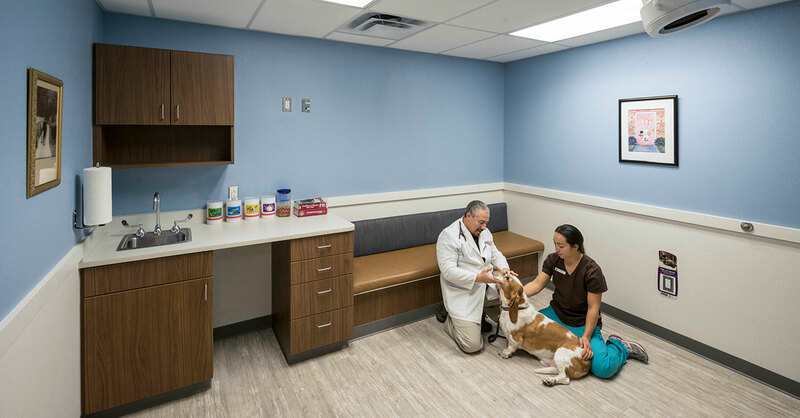 Much has been written about stress-reducing features that can be easily incorporated into a hospital: separate cat and dog areas, sound-dampening acoustics, scent and odor management, appropriate animal housing, the proper floor and exam table surfaces. Each makes a statement, either subtle or obvious, that builds the right perception. Another aspect bodes well for the small individual practice: They are not fans of megacorporations. Think independent coffeehouses and microbreweries rather than mass market. So, show that you are part of and identify with your community. Stronger connections can take the form of holding weekend events, sponsoring youth sports teams and doing public outreach. Social media is how millennials connect and voice opinions. Be present and active and participate in that dialog. Baby boomers seem to think the next generation is a bit spoiled and hasn’t had to pay its dues — “We all had it rough starting out, so why should they be special and self-centered?” I don’t see it that way. Life is meant to be enjoyed now, not just at retirement. Day-to-day life is just as important as what we do on weekends and vacation. Millennials want their experiences to work toward that end. I believe that they are right and that businesses choosing to ignore the rising force of younger generations do it at substantial risk. Constructive Criticism columnist Paul Gladysz is the principal architect at BDA Architecture. 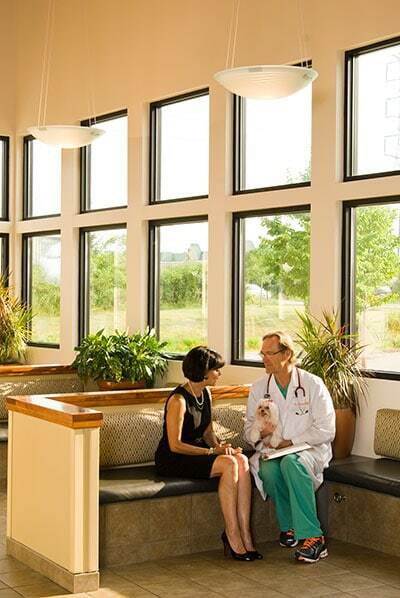 The Albuquerque, New Mexico, firm specializes in the planning, design and construction of animal care facilities.